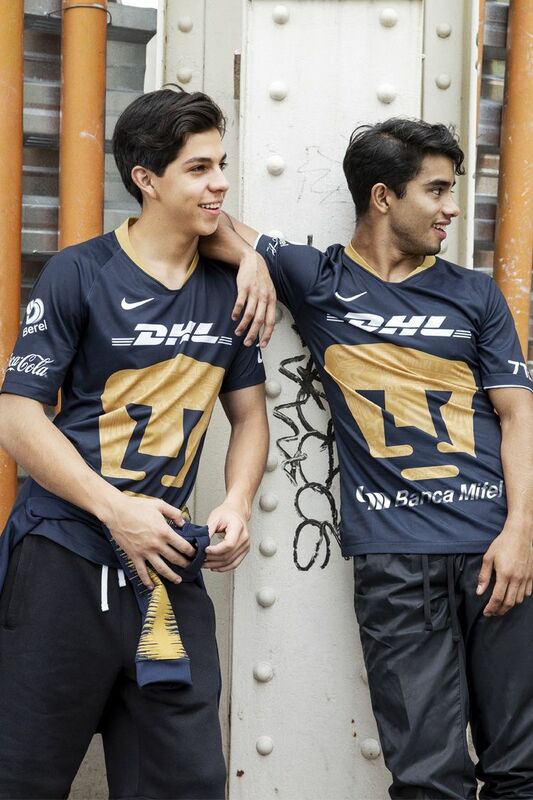 A Pumas fan has the unique pride of supporting the team that is linked to the most important university of Mexico and Latin America. The 2018/19 3rd kit combines this history and tradition with the passion that the players show every time they step on the pitch. 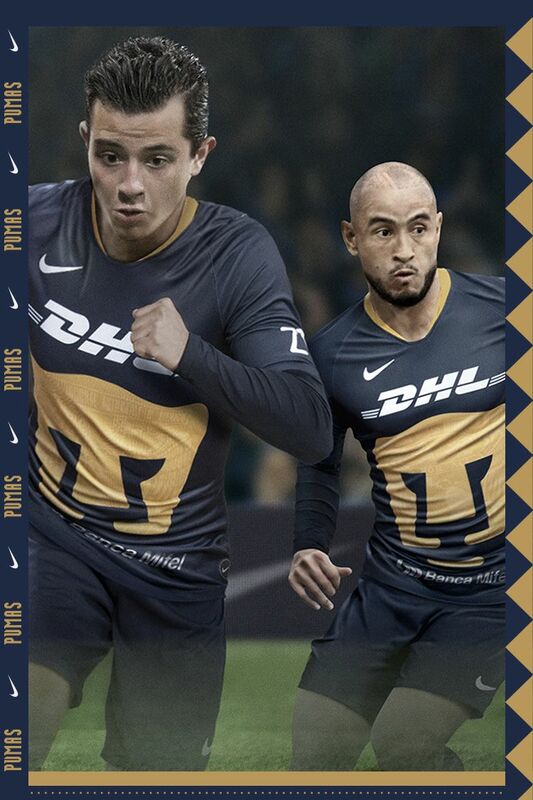 The 2018/19 Pumas alternative kit represents the strong synergy between the team and the University. 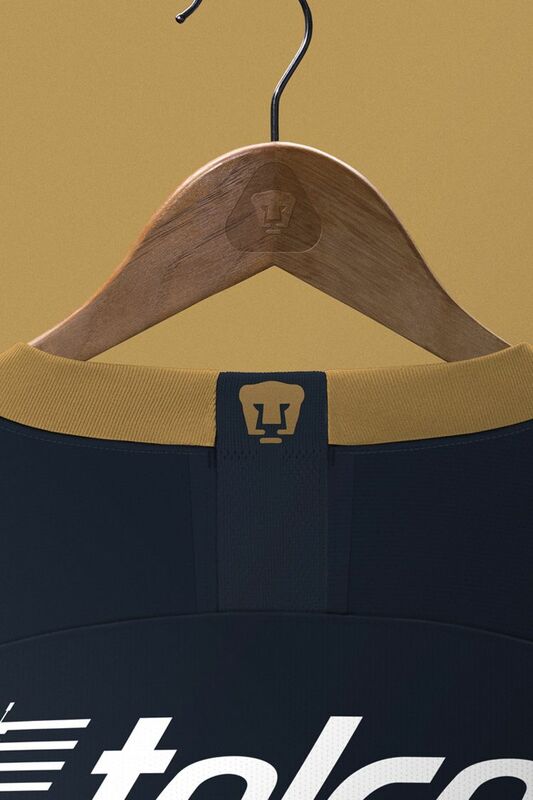 Designed in a classy navy blue, the jersey features the iconic Pumas emblem in gold, merging the UNAM crest in a lighter gold tone. With the courage taught from the academy teams, the Club is ready to preserve their unrivalled legacy on the pitch. 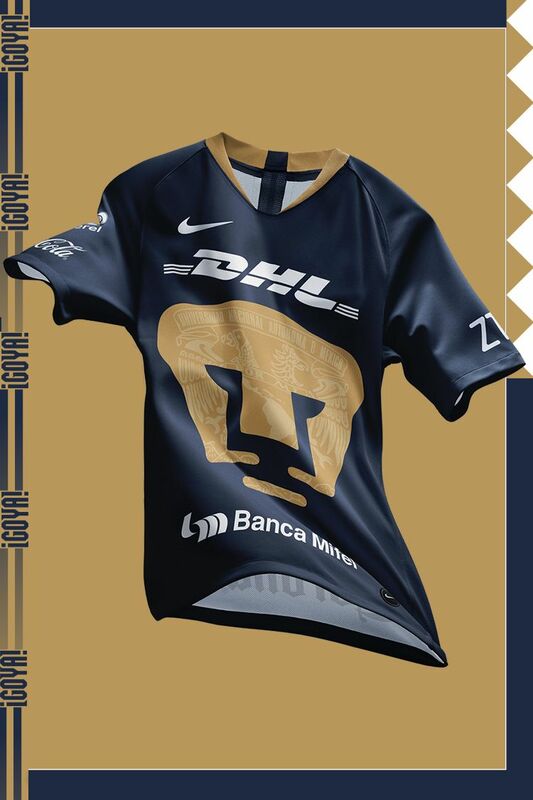 UNAM Pumas was founded in 1954 by an amateur group of student players from the Universidad Nacional. 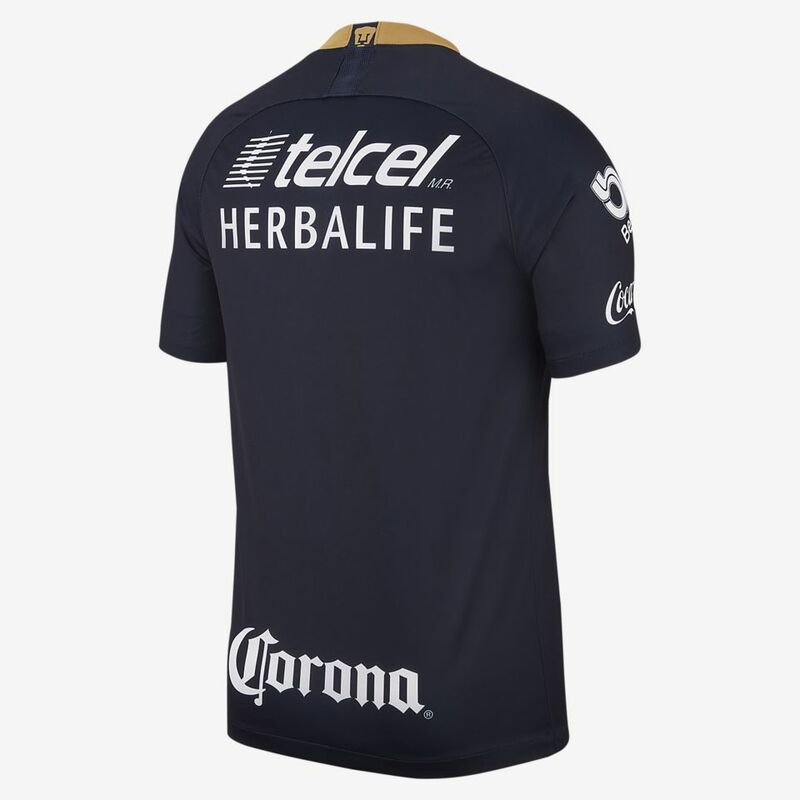 The "Pumas" nickname, which is now an essential part of the team's image, came from coach Roberto "Tapatío" Méndez. 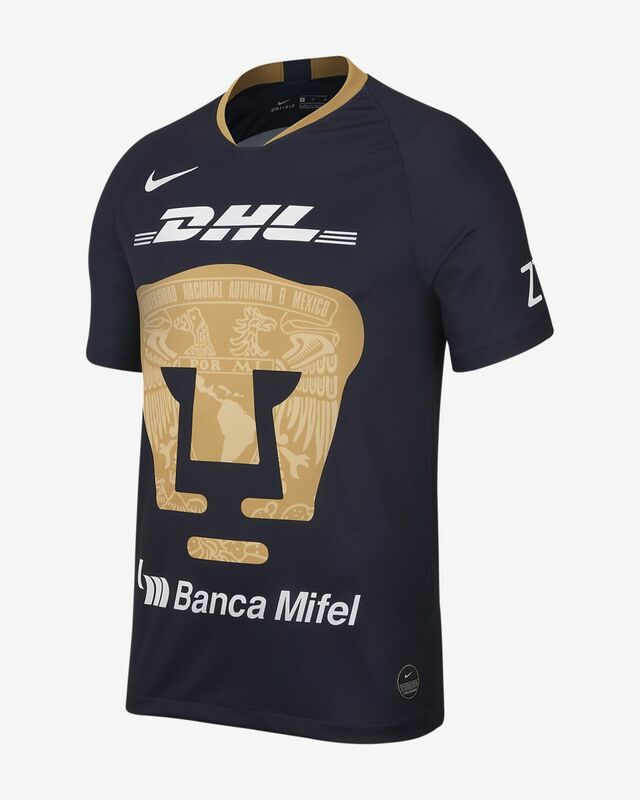 Méndez used the Puma as a symbol to describe their aggressive and intelligent style of play. 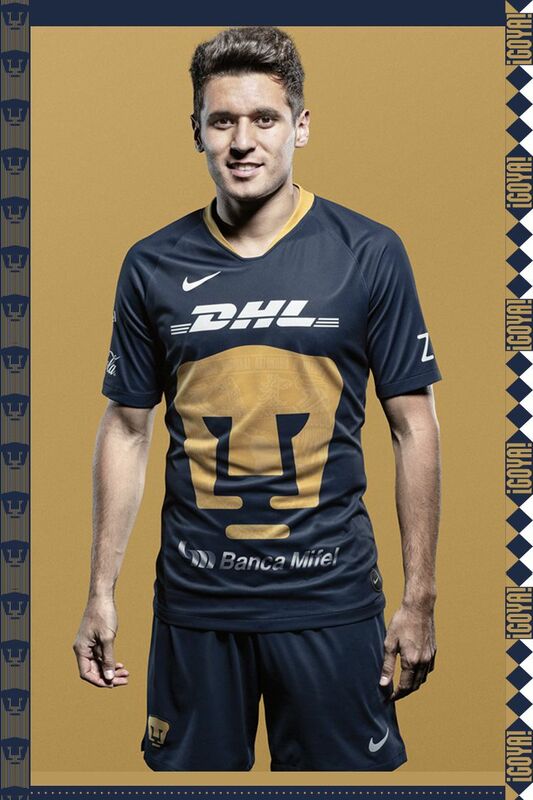 Seven Primera División championships and four international titles later, the Pumas have proven that courage.